Lara Winston has been writing since 2001. She has written about a plethora of subjects including nutrition, anatomy, physiotherapy and current affairs. Winston is passionate about health and is currently running her own nutrition consultancy. She holds a Master of Business Administration in physiotherapy and two undergraduate degrees in nutrition and sports rehabilitation. The recommended daily intake of calories for a 16-year-old is dependent upon gender and level of activity. Teenagers need a higher number of calories as they grow, an adolescent should not be placed on a restrictive diet without consulting a medical professional first. A 16-year-old girl should consume 1,800 and 2,400 calories daily, according to USDA. The amount of calories a 16-year-old girl consumes is also dependent on level of activity. A 16-year-old boy should aim for 2,200 to 3,200 calories daily. This is much dependent on the level of activity, according to guidelines set by USDA. 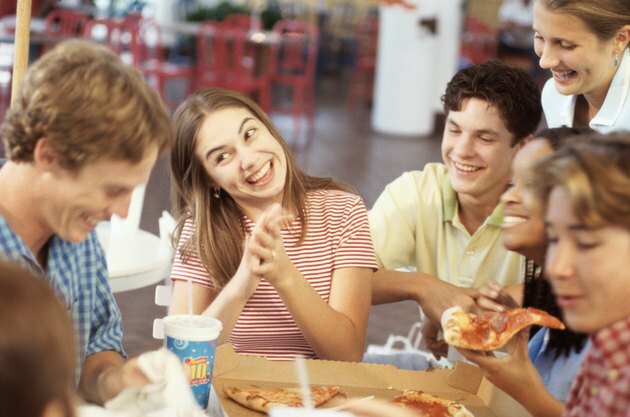 Teenagers must consume enough calories to provide their bodies with energy and keep them running efficiently. Teenagers that are less active should try to consume fewer calories, aiming for the lower end of the spectrum. More active teens should consume more calories; they take a quick walk of three miles or more or the equivalent daily, according to the USDA. How Many Calories Does a Sedentary Person Require?